Volunteers serve as ambassadors for Woodland Park Zoo and are an important part of our zoo team. We seek individuals who are excited to connect with others about the zoo's mission to save wildlife and inspire everyone to make conservation a priority in their lives. The primary focus of our volunteers is to engage zoo guests by providing information and offering assistance, participating in zoo public programs, and helping at a variety of special events. Once enrolled in the program, volunteers have the opportunity to apply for positions in other aspects of the zoo's operations: from animal care to horticulture to learning activities, as well as leadership roles within our volunteer program. Our volunteer program offers individuals opportunities to continuously develop their knowledge about conservation and animals and to make an impact every day by playing an active role in the zoo community. You must be at least 18 years of age and attend a Volunteer Program Orientation session in order to apply as a volunteer. During the informational orientation, you will learn details about the volunteer commitment, schedule and training requirements. Additionally, you will have the opportunity to see which volunteer areas spark your interest, ask questions and complete an application. We have filled all of our volunteer recruitment needs for 2019. Please check back on December 1, 2019 for 2020 Orientation dates. Thank you for your interest in the ZooCorps volunteer program. 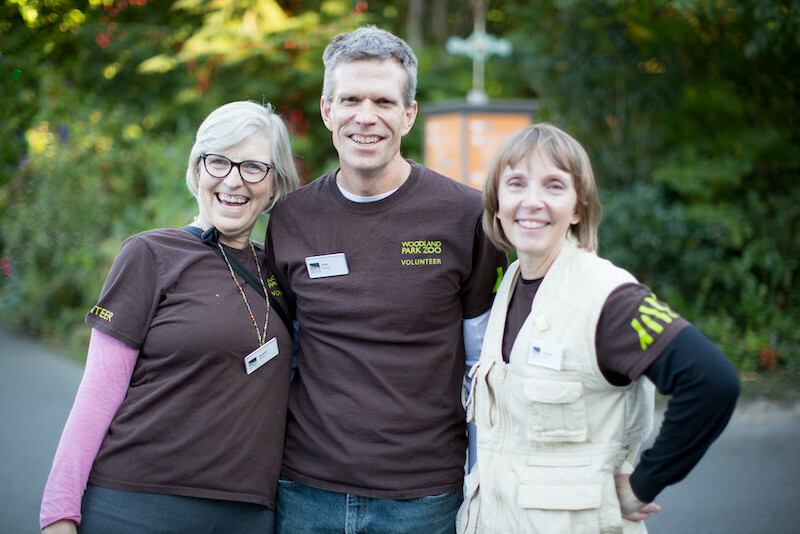 As a result of upcoming changes to our youth programs at Woodland Park Zoo, we are not accepting new ZooCorps volunteers for 2019. We encourage interested individuals to stay tuned for new and exciting opportunities to engage with others about Woodland Park Zoo's mission and conservation movement to stand together for wildlife. Please consider joining the Seattle Youth Climate Action Network to receive monthly emails about upcoming events and activities happening in your community! Woodland Park Zoo is currently not accepting new service groups.